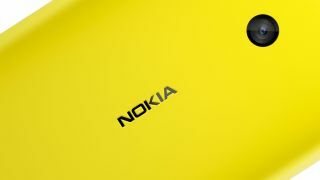 It seems Nokia really is going to go Android as the pre-MWC 2014 rumour mill continues to churn out Nokia X leaks, with the latest offering a series of images depicting said Android phone. French site Nowhereelse.fr has apparently got hold of more images of the fabled Nokia X (previously known as the Nokia Normandy), showing off the front, back and side of the chunky handheld. The homescreen is visible and the user interface matches previous leaks, showing a highly modified version of Android which resembles the live tile setup of Windows Phone more than Google's own creation. The Finnish firm's own Here Maps application appears on one of the tiles - as does a simple "Store" icon - suggesting the Nokia X won't come with Google's own suite of apps such as Maps and the Play Store. In terms of design the Nokia X is shaping up to be a pretty ordinary slab of plastic, reinforcing the budget credentials it's been associated with so far - although we'll hopefully find out for sure shortly at MWC. What else will we see at MWC 2014?